During the summer of 2014, tenor Christopher Enns pedal-powered his way across Ontario, bringing opera to 13 cities across the province, courtesy of the innovative and eco-friendly Bicycle Opera Project. Further engagements for 2014-2015 include Kevin Puts' Silent Night for Opéra de Montréal and Haydn's Die Schöpfung at the University of Manitoba. Last season he sang the title role of Persée (Lully) with Opera Atelier in Toronto (Canada) and at the Palace of Versailles (France), and was featured as Tamino in Die Zauberflöte with Saskatoon Opera. 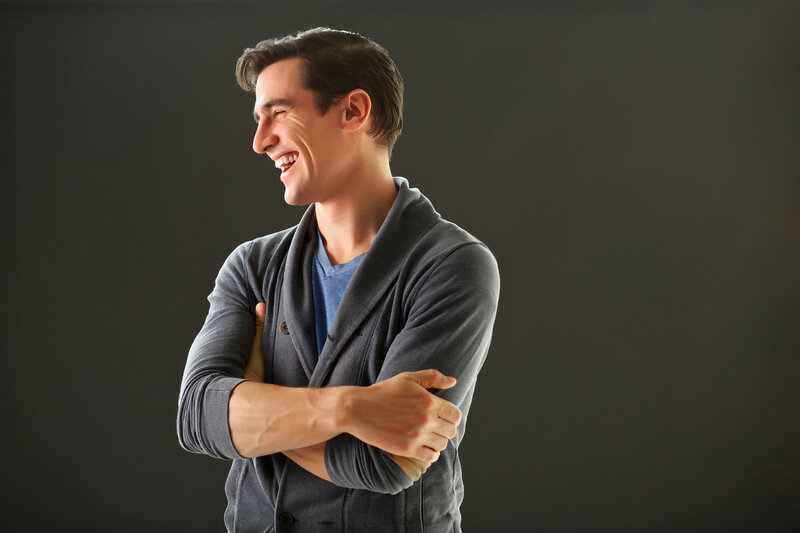 A recent graduate of the Ensemble Studio of the Canadian Opera Company, he appeared as First Commissioner in Dialogues des Carmelites (Poulenc) and also starred as Tamino in Die Zauberflöte. Further assignments with the COC include a recent production of Mozart's La clemenza di Tito as cover artist for the title role. In 2012 Chris was heard in the Ensemble performance of Semele as Jupiter. Other roles with the Canadian Opera Company (COC) at the Four Seasons Centre include Scaramuccio in Ariadne auf Naxos, and Nathaniel in Offenbach's Les contes d'Hoffmann. In addition to his performance with the Menno Singers as soloist in Messiah, he has been heard with Chorus Niagara in a Broadway-themed programme in St. Catharines and played the role of Alexander in the new opera, The Enslavement and Liberation of Oksanna G., for Tapestry New Opera Works. Mr. Enns is a graduate of the Opera Diploma Program at the University of Toronto where he was heard in the title role of Bernstein's Candide and also appeared as Ecclitico in Haydn's Il mondo della luna. A native of Manitoba, he holds a degree in Vocal Performance from the University of Manitoba. Chris is also the creator of the personal finance blog for artists, Rags to Reasonable.